Just as we expected, the EUR/USD currency pair hasn’t fallen down much. Currently there is a possibility that the price may form “double bottom” reversal pattern at the daily chart. If the pair breaks the level of 1.2975, we should expect Euro to continue growing up. 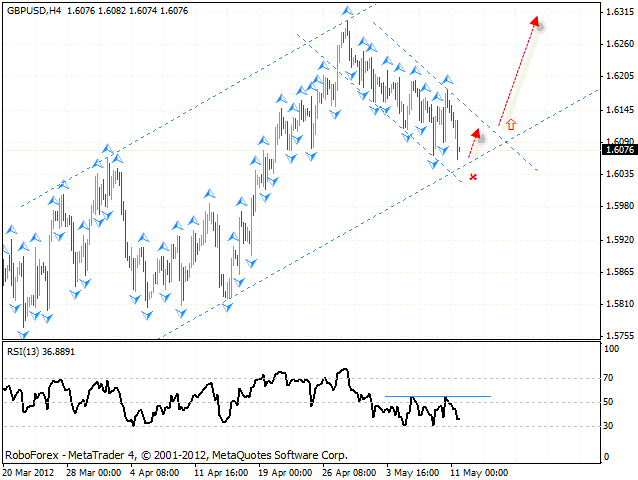 The target of the pattern is the area of 1.3040. 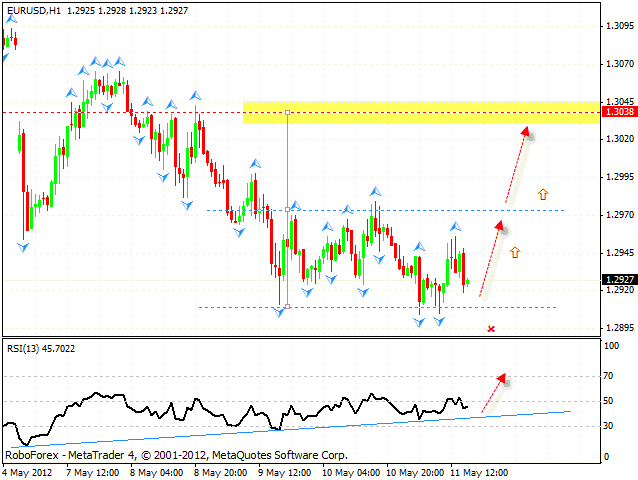 Aggressive traders can consider buying the pair from the current levels with the stop below 1.29. The GBP/USD currency pair hasn’t grown up as high as we expected. Right now the price is very close to the ascending channel’s lower border. One can consider buying Pound from the current levels with the stop below 1.6050, and increase the amount of long positions only after the price breaks the level of 1.6185. The target of the ascending pattern is the area of 1.6510. The USD/CHF currency pair is slowly trying to test the local maximums. 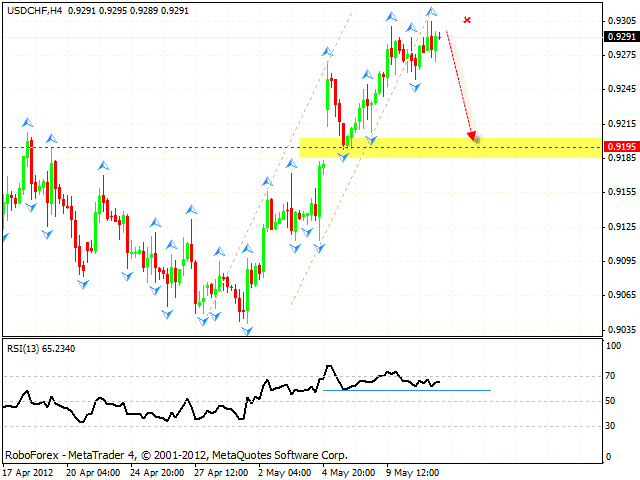 At the H4 chart the price is forming “failure swing” reversal pattern at the RSI. 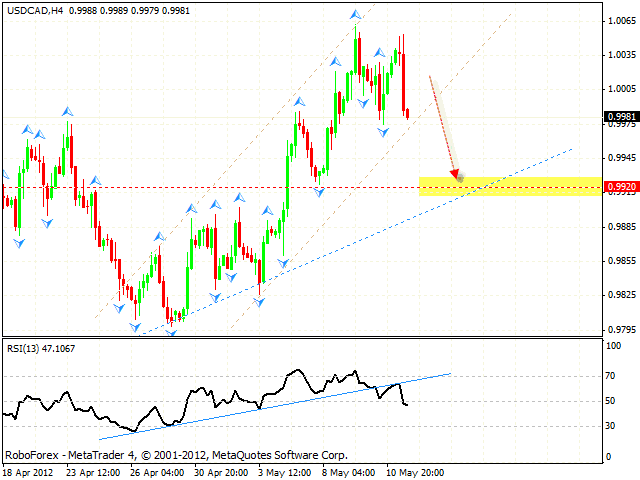 After the price breaks a support line at the RSI, the pair may start falling down towards the area of 0.9195. One can consider selling Franc with the tight stop above 0.9305, and increase the amount of short positions only after the price breaks the level of 0.9245. Yesterday we discussed the USD/JPY currency pair. Currently the price is testing the ascending channel’s lower border and forming “head & shoulders” reversal pattern at the H4 chart. 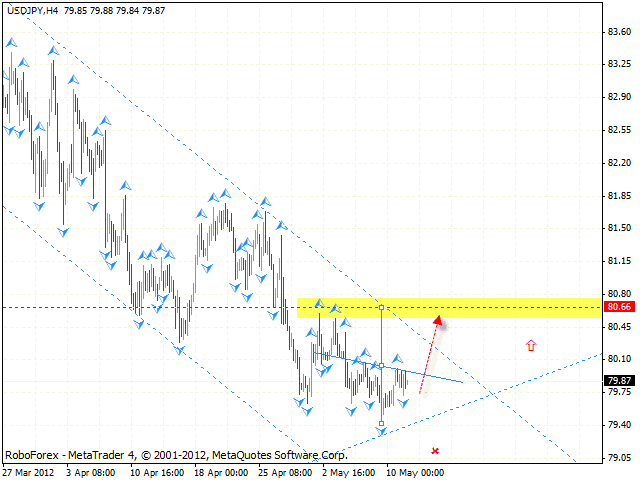 One can consider buying the pair with the tight stop below 79.70, the closest target of the growth is the area of 80.65. Conservative traders are advised to wait until the price breaks the level of 80.05 and then try to buy the pair. Although we didn’t expect this, but Canadian Dollar has grown up. However, there is still a possibility that the price may start falling down. One can consider selling the pair from the current levels, the closest target of the fall I the area of 0.9985. If the pair breaks this level, it will continue falling down towards the area of 0.9920. If the price continues growing up, this scenario will be cancelled.